Do you feel like you have outgrown your current ICT company? Are you concerned that your network and computers aren't as reliable and secure as they could be? We specialise in entrepreneurs and growth-minded companies. Don’t trust your bottom line to a geek or nerd! We will show you how to change technology from a cost to a driver for innovation and growth. A business or organisation operating under a proper managed service plan will experience significantly less down-time, greater employee productivity, and profits, than a business that simply waits for things to break down in their ICT systems before they fix them. 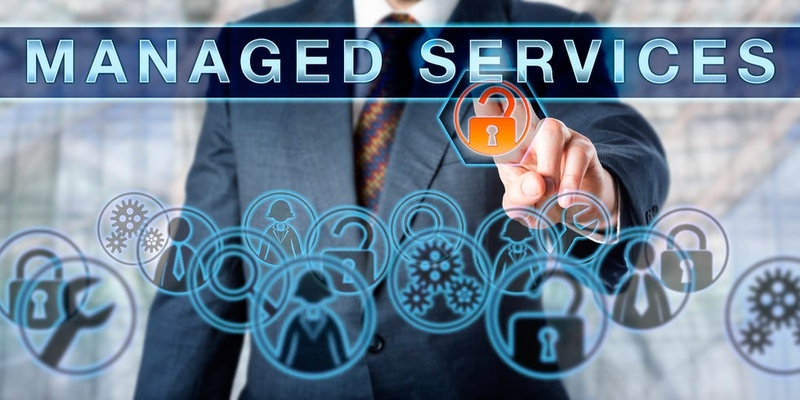 Simply put one of the biggest benefits of Managed Services is pro-actively discovering and fixing problems before they can negatively affect your business. For over 16 years CT Business Solutions (CT) has helped small businesses in Hamilton with their computer problems. When the server crashes, we heal it. When the network goes down, we bring it back up. When viruses & spyware make every desktop slow and frustrating, we clean them up and get the computers running efficiently again. CT Business Solutions focus on small business has always made us the best choice for solving the technology problems which are unique to that market. We have marketed ourselves as the IT department for small business, and have taken great pride in helping thousands of small businesses fix their hardware and software problems. Along the way we realised that while small businesses are becoming more and more dependent on their technology to be productive and successful in today’s competitive business environment, too often they waste money fixing unexpected computer crashes or losing staff productivity due to network outages or spyware slowdowns. Starting in 2006 everything changed. Using new technology combined with best practices guidelines based on the knowledge and experience of hundreds of CT franchisees around the world, we took on a plan of implementing managed services across our customer base. Together with improvement in the technology and our own professional development we are able to now GUARANTEE that your business technology will be TROUBLE-FREE. No more virus problems. No more network outages. No more hard drive crashes. No more downtime. No more data loss. No more computer frustration. It’s not as hard as you might think. Computer problems happen for only a handful of reasons: viruses & spyware account for over 50% of all problems we see today, the rest are due to equipment failure, user errors, software misconfiguration, or outside hacker attacks. Our best practices guidelines prevent most of those, and our unique remote monitoring and management (RMM) software monitors for the rest, and proactively alerts your Troubleshooter so they can take action often before you even know there’s an issue. So if it’s that simple, why doesn’t everyone do it? Some are starting to, but most IT consultants don’t have CT Business Solutions depth of knowledge and experience with small business technology. No one has our unique RMM software either, which makes our Guarantee possible. And, to be honest, most IT consultants are paid when there IS a problem, not when there ISN’T a problem, so they have little incentive to fix problems permanently. Unlike many “computer geeks” CT Business Solutions exists not just to fix computer problems, but to help small businesses be more successful. We do this by helping businesses make the most effective and efficient use of their technology investment. We don’t want to make money when your computers are down, we want to make money by helping you grow and enhance your business, with technologies and services like cost-saving Voice-over-IP solutions, flexible telecommuting and video-conferencing options. We can even guide you to the right people to write custom software to fit your needs, website design, or bring in a QuickBooks or Xero consultant to help you streamline your accounting. In short, we want to save you money on computer maintenance so you can spend that money on improving your business through technology. To get started your Troubleshooter will come out and make a quick initial inspection of your computers and network, and will prepare an estimate. Depending on the age and quality of your current equipment we may require upgrades or replacements of certain components or pieces of equipment in order to meet our requirements for the Trouble-Free Guarantee. Your CT account manager will give you a proposal for the necessary upgrades, but you are not required to use us for this work – you are free to purchase elsewhere as long as the equipment meets our reasonable requirements, but you’ll find our CT pricing is very reasonable. In addition, all covered devices will need virus, spyware, and firewall protection that is updated several times daily. Comprehensive backups are an integral part of the requirements. Your Troubleshooter will examine your current solutions to verify it’s up-to-date and meets our requirements, or may recommend alternatives if needed. Alternately we can include the cost of these items in your Trouble-Free contract, which saves you the trouble of purchasing and maintaining them yourself. Pricing for our Trouble-Free monthly contracts is based on the number of users in your organisation and your usage patterns, and needs to meet the required specifications. Depending on the services included. your account manager will discuss specific options with you as part of working up your initial proposal to determine the costing. 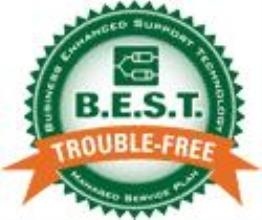 Our full Trouble-Free Guarantee means that we guarantee no computer or network problems, period. No virus problems, no spyware problems, no Windows problems, no network problems, no hardware problems. We also guarantee you’ll have no software problems with Microsoft Office, and we even guarantee no printer problems excluding of course for normal consumables (toner, drum, rollers, maintenance kit). We guarantee 99% uptime for all your covered computer equipment, and if we ever miss our goal we’ll even pay YOU $100 for every hour your computer or network is down. We are that sure of our solutions. We even guarantee you won’t lose any important data! During your Trouble-free contract period our RMM software will immediately alert your Troubleshooter of any potential problems. This allows us to take proactive steps to resolve the problem right away. (Of course we will never access your computers without your permission, and we will ensure that your systems are safe from any unwanted outside intruders). Your Trouble-Free Guarantee includes unlimited remote access by CT Business Solutions to prevent or fix problems during your contract period, and also includes two on-site visits per quarter to visually inspect and verify everything is running OK. Your Trouble-free Guarantee also means that all important Windows, anti-virus, anti-spyware, and firewall updates are applied automatically to all computers in your office. And you’ll receive monthly reports on all our monitoring data and any activity during the month, including defense reports on any outside hacker attacks. •	Office 365, Azure, One-Net and Amazon Cloud Solutions.